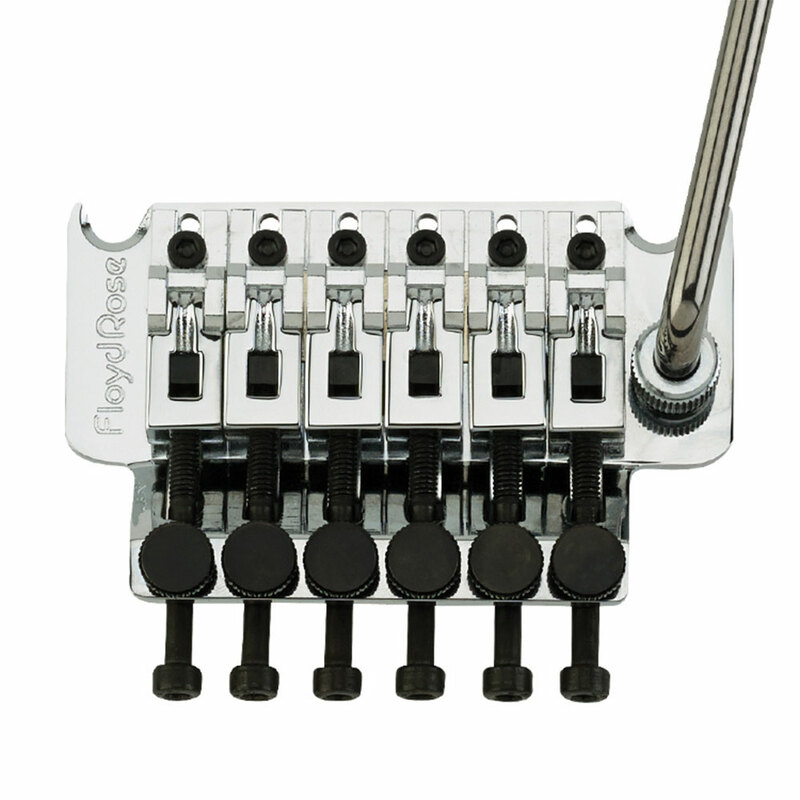 The Floyd Rose Original double locking tremolo system is an iconic and groundbreaking bridge design that changed the way guitar could be played, extended and wild use of the wammy bar could now be achieved without going out of tune. Double locking tremolos provide the ultimate tuning stability through the combination of the locking nut, locking saddles and fine tuners. This bridge features steel saddles for clarity and response and a brass tremolo block for sustain. The tension holding the tremolo arm can be adjusted via the screw down nut. The locking nut supplied with the tremolo is the R3 version and comes with screws for mounting from the front of the neck and also hex/allen head bolts for mounting from the back of the neck depending on which is required. This is a full bridge system which includes adjustable posts and body bushings, tremolo arm, tremolo springs, claw and screws, string retainer bar and locking nut.